Nothing's guaranteed yet with four games remaining in the 2018 regular-season, but it looks as if the Dallas Cowboys will not only win the NFC East division, but claim the playoff spot that goes with it. They have scratched and clawed their way back into contention and might need to start thinking about what comes next. I know it's a little early to start thinking about the playoffs, but the Cowboys have a real shot at closing out the remainder of the season unbeaten. Anything can happen of course, but if the Cowboys continued to play like they did against the Saints, I don't see a team remaining on the schedule who can beat them. With that in mind, I've started to think about what Dallas needs to do in order to be at their best when the playoffs get underway. Getting everybody as healthy as possible is probably the most important in my opinion, especially with quite a few key players banged up. Luckily, there are several key players who could be returning to the lineup this week against the Philadelphia Eagles. Tyron Smith (neck/back), Sean Lee (hamstring), Tavon Austin (groin), and David Irving (high ankle sprain) all look to be on track to play this week, but they're not the only ones who are banged up. You may not have noticed with all of the excitement during the game against the New Orleans Saints, but Running Back Ezekiel Elliott was noticeably limping throughout the game and had to take himself out on a number of occasions. I don't know about you, but I find that highly concerning considering how important he is to the Cowboys offense. Ezekiel Elliott has pretty much been a one-man show this season. No other RB on the roster has done much of anything in the running game, but I think it might be time for that to change a little bit. It should come to no surprise, but Zeke has rarely come off the field this season. He has already almost played as many snaps this year (694) as he did in all of his rookie season in 2016 (714). That means he's taking quite a pounding as not only a runner and receiver, but as a pass protector as well. Each and every shot he absorbs takes a toll on his body. The Dallas Cowboys would be wise to lighten Ezekiel Elliott's workload a little bit moving forward, which is hopefully where Rod Smith comes in. He is #2 on the depth chart, but you wouldn't know it by his usage and production so far this season. To date, Rod Smith is averaging a measly 2.5 yards per carry on 23 attempts for 58 rushing yards. He's only played a total of 80 offensive snaps, which is just one more than Full Back Jamize Olawale and we all know how seldom he plays. I don't know about you, but I find that more than a little concerning. 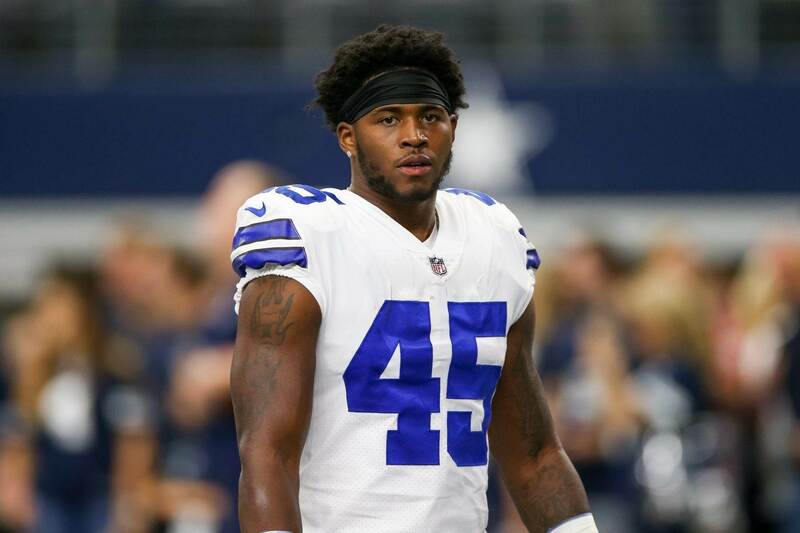 Rod Smith was a playmaker as a fill-in last season while Zeke served his league mandated six-game suspension. He was productive running the ball between the tackles and as a receiver out of the backfield, but hasn't done much of that at all this season. Why? Does the Cowboys coaching staff no longer trust him? Has he lost a step? Maybe it's because they've played in so many close games? I don't have the answers to these questions, but something needs to be done if Dallas wants Ezekiel Elliott at his best come playoff time. The Dallas Cowboys need to find somebody to help lighten the workload on Zeke's shoulders. If it's not Rod Smith, maybe Tavon Austin. He did have six carries for 55 yards before his injury, mostly on "gadget" plays. Maybe the answer is Darius Jackson. He's just sitting on the Cowboys practice squad right now. Whatever the Dallas Cowboys decide, they need to do so pretty quickly. Ezekiel Elliott is just far too important to risk running into the ground, especially with a playoff berth all but secured. Who do you think should help lighten Ezekiel Elliott's heavy workload?